Genetics is fast-becoming a central and critical part of healthcare and disease prevention in modern practice. However, most of what a genetic counsellor does remains a mystery to the majority of healthcare professionals. In this frank and informative talk, Pauline McGrath poses some ethical questions for you to consider regarding genetic medicine. Should we be able to choose the gender of our child? And how much information is good information? Ponder these questions and more in this enlightening discussion. 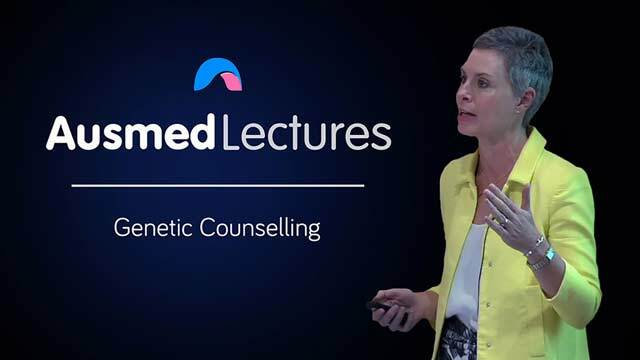 Pauline McGrath is a Human Genetics Society of Australasia Certified Genetic Counsellor. Pauline established Australia’s first Metabolic Nurse Co-ordinator role at the Royal Children’s Hospital in Melbourne before moving onto Sydney where she then established the first ever Familial Cancer Clinic at the Prince of Wales Hospital. She has worked for Queensland Health since 1995 as staff member of Genetic Health Queensland. She has been responsible for the provision of prenatal and fetal medicine genetic counselling services for Queensland since this time. In 2013, she was awarded a Churchill Fellowship to explore the provision of counselling support for women accessing emerging pre-natal testing technologies.